The closing episode of The Walking Dead's first season left me in tears. The season told an incredible story of survival and hope in a world overrun by death. 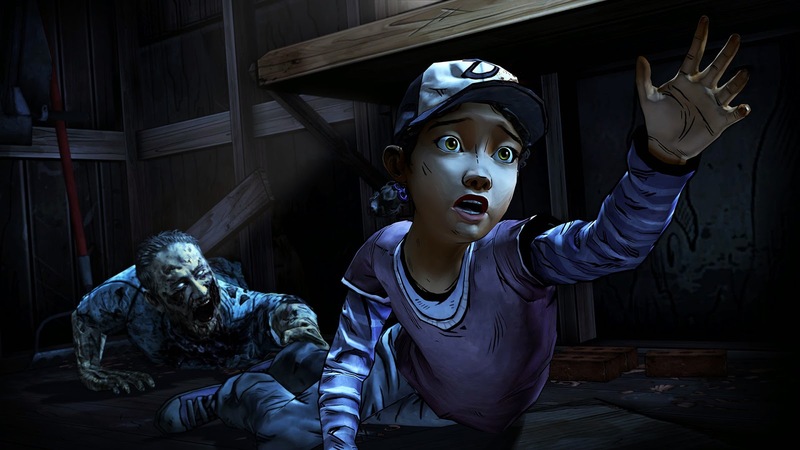 Most of the first season is spent doing whatever possible to protect Clementine; a little girl encountered early in the first episode. The bond developed throughout the first season is strong, and it's this honed, protective instinct that Telltale is taking advantage of in Season Two. This time, you are Clementine. As Lee, I took a very parental role towards Clem. She was vulnerable, and was often the only voice of hope or sanity in the group. Being a parent makes The Walking Dead a much more difficult experience. Every horrible situation I encountered, I couldn't help but imagine my own family in the same situation. As Clementine, I don't have the luxury of shielding her from the horrors of the undead. As the protagonist for the second season, everything hinges on her ability to face the realities of the world she lives in. Her skill dealing with the dead and the living are put heavily to the test in season two's premiere episode. As always, Telltale weaves a magnificent tale, and I can't wait for the next episode. The game has undergone more than just a change of primary character. The graphics are greatly upgraded, with beautiful lighting and character models. The interface has changed a little as well. The cursor now presents a sort of wheel over points of interest. This is more tailored to playing with a controller, where the thumb-stick can be rotated to choose the desired option quickly. Using a mouse takes a little getting used to. I found myself selecting the wrong thing, or missing a selection entirely. The dialog choices are presented in two columns now, rather than the list format used in the first season. I used the number keys in season one, so having them split up like that took a little more getting used to. All in all, the experience is still fairly intuitive, and the graphical improvements add a lot to the atmosphere. Of all the things I like about this episode, I most appreciate that Telltale didn't make it easy. It would have made sense mechanically to go easy on the rougher bits of the story in the first episode. 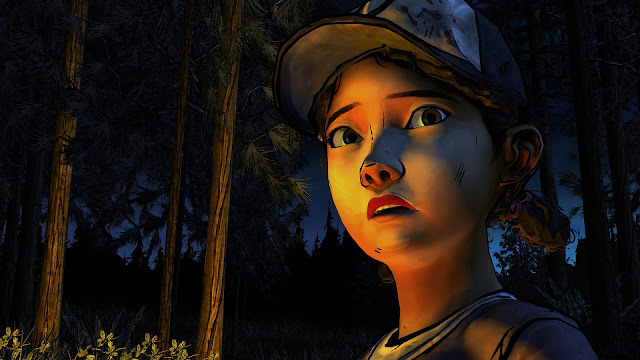 That sentiment of needing to ease players into thee experience is not one shared by Telltale. The world in season two is no less dangerous. As a nine year old, it is in fact more dangerous. It's a two hour roller coaster ride that left me breathless more than once. The best way to experience the Walking Dead is to play it from the beginning. It's currently 50% off on steam as part of the Holiday sale. The choices you make in season one will carry on to season two which will make for some interesting moments later on, I'm sure. It's worth it to familiarize yourself with the first season, as we are likely to see some familiar faces as this season continues. Season two is off to a great start, and I am anxious to continue Clementine's story.